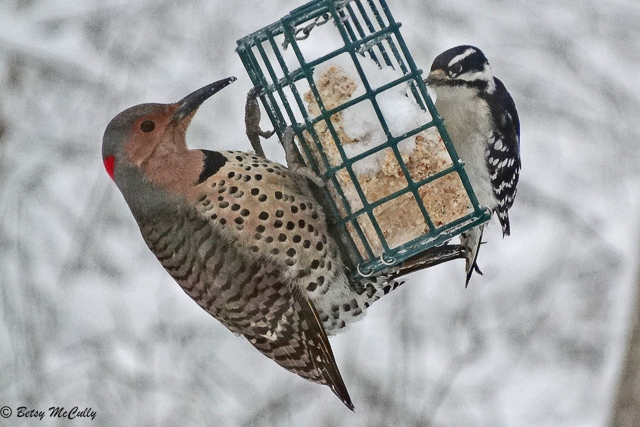 Northern Flicker (Colaptes auratus). Open woodlands. Year-round.